You’ve probably heard that home ownership for Millennials — those born between the early 1980s and early 2000s – has been at historic lows. And, you’ve no doubt read that the reason is Millennials prefer a mortgage-free, often car-free, apartment lifestyle over home ownership. But surveys done in the last 18 months,* including Zillow’s September 2014 Housing Confidence Index: Will Youthful Exuberance Today Mean More Sales Tomorrow? (“Zillow’s Millennial Survey”) refute that reasoning. In fact, it seems a lack of money, rather than a lack of interest, is what has kept so many Millennials from buying their first home. Most Millennials Agree: Home Ownership is Part of the American Dream. Zillow’s Millennial Survey reveals that 65% of respondents ages 18-34 said “owning a home is necessary to live The Good Life and The American Dream,” and 46% said they believe “owning a home is necessary to being a respected member of society.” Surprisingly, that positive vision of home ownership was higher among Millennials than among older respondents. Help for First-Time Home Buyers. Coming up with a down payment and closing costs is a challenge for most first-time home buyers. But there are several government programs that can help, including one that requires as little as 3% down, and an income-based Florida bond program that offers up to $15,000 in closing costs. Additionally, many Millennials are buying homes with non-spouse co-buyers, a phenomenon I plan to address in a future post. If you’re thinking about diving into home ownership for the first time, I can help you sort through the various programs and the home buying process, from becoming financially qualified through closing.  Just give me a call at 904-570-1216 or email me at jonkbrooks@gmail.com. *Check out Bloomberg’s “Millennials Want Houses, Just Like Everybody Else” and Money’s “What Everyone Gets Wrong About Millennials and Home Buying”.